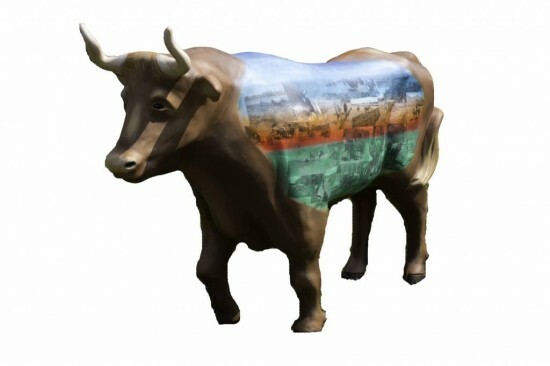 This ox is a tribute to the proud farming history of the Garden State, particularly focused on Mercer County. The ox was first covered in old black and white photographs from Howell Living Farm. These images are sealed in a clear coat and translucent layers of paint were added over that. Finally, an image of a barn and silos were stenciled across the side of the ox and wrapped around both sides.